Making successful cars and trucks is never easy, even for well-capitalized, global automakers that have spent more than a century discovering what works and what doesn't. Doing it while building a company from scratch — an effort that can require investing hundreds of millions of dollars against zero revenue and wooing experts from more secure, high-paying positions at established companies — is virtually impossible. But the near certainty of failure didn't stop mercurial billionaire Elon Musk, who created the most successful North American automobile startup since World War II. Though it has yet to post an annual profit in nearly a decade of selling cars, Tesla has energized a wave of entrepreneurs who are trying to launch car- making ventures of their own. For the half- dozen or so startups that have attracted major attention and seven- or eight-figure funding — an unusually high number at one time — tall obstacles remain in their quest to become the next Tesla. 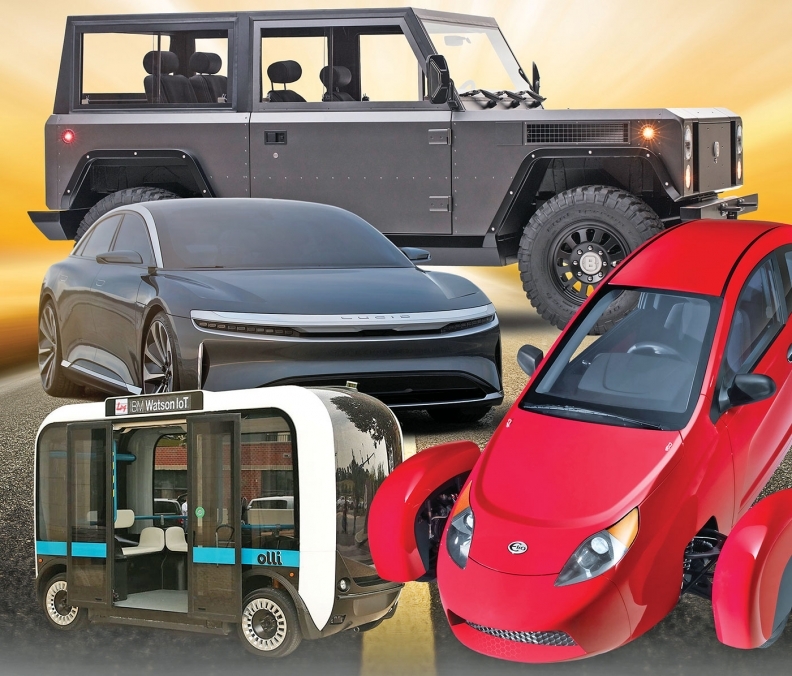 These companies are trying to build everything from super-fuel-efficient three-wheeled vehicles (Elio Motors) to high-performance electric luxury sedans (Faraday Future and Lucid Motors) to boxy electric work trucks (Bollinger Motors). One (Local Motors) is using 3-D printing to circumvent the traditional manufacturing process. Even for outfits that have vast piles of cash — and most don't — the odds of creating a sustainable business selling high-quality vehicles at a profit year after year are somewhere between very slim and none, depending on whom you ask. 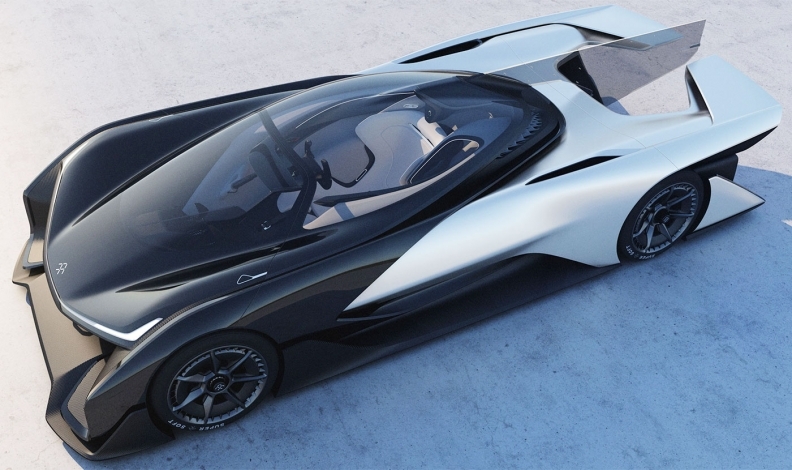 "What makes Faraday think they can produce an electric vehicle cheaper than Tesla?" 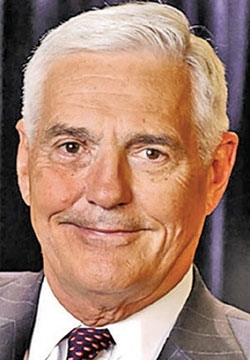 asked Bob Lutz, the longtime industry executive who has been involved with several small automotive ventures since retiring in 2010 as vice chairman of General Motors. "And Tesla is losing their shirts." Lutz: "We made it all work." No automaker ever has made a dime selling EVs, noted Lutz. And the coming wave of EVs from the German luxury brands and others will make it even more difficult for startups with no name recognition or dealer network. Major automakers can sell their EVs at a loss because it will be offset by profits from conventional vehicles, Lutz said. Others, such as manufacturing efficiency guru Ron Harbour, believe it is possible for a startup to succeed. It requires a unique product, proper funding and near flawless execution of a plan that produces a high-quality vehicle, Harbour said. In some ways, that's easier than ever before. Advances such as rapid prototyping, 3-D printing and suppliers with vast arrays of fully engineered components have dramatically reduced product development time and cost. But it's still an enormous undertaking for a new company to build a vehicle that can match the fit, finish, refinement, quality, reliability and price of those from established brands. "Even Tesla, with all its money, is having troubles" with quality, said Al Kammerer, a product development engineer who retired in 2008 after 34 years at Ford Motor Co. and four years as product development director for Jaguar Land Rover. "From a [product development] perspective, it takes time, effort, energy and money to get the product right," Kammerer told Automotive News. "And once you get it launched, it's going to take more money. How long did it take Ford to get Sync to work with all the money and resources they had?" So, how can a startup successfully launch a vehicle? It all starts with the product itself — "a design that you hope will knock the socks off your customers," Harbour said. "But it better be something you can build with a high level of quality and very productively and simply." Bollinger Motors' electric work truck is unique and starting to attract consumer attention. The company says it has 10,000 reservations for its B1 electric truck, though it hasn't collected any money. Elio Motors is attempting to launch a three-wheeled, two-passenger vehicle that gets 84 mpg with a starting price of $7,450 — less than most late-model used cars. But Elio is fighting for its life amid financial troubles. Despite collecting deposits of up to $1,000 from more than 65,000 potential customers, years of delays and cheap gasoline prices threaten to kill the project. Money — specifically, the lack of it — has killed countless startups since the end of World War II before they could grow to the size that Tesla has achieved. Musk, notably, improved Tesla's chances of survival by hiring seasoned manufacturing and engineering talent from Detroit and lining up prominent suppliers such as BorgWarner early on. But that, too, takes big piles of money, which Musk had and many trying to emulate him do not. Kammerer estimates a cost of $600 million to $800 million to build a high-quality vehicle with one body style in-house. For low-volume vehicles that use a lot of off-the-shelf commodity parts, that cost is lower. Said Lutz: "It's gotten easier to do an electric vehicle because you can go to companies who will [sell] you the complete battery pack; you can go to others that will [sell] you the complete power electronics and so forth. But still, while a smaller company would never spend what General Motors, Ford or other OEMs would spend, you are still looking at $200 million to $300 million for projects that in my considered opinion are doomed from the outset." To be self-sustaining, automakers have to clear enough profit from the sales of vehicles, parts and services to pay all bills and fund product development to pay for updates, refreshes and development work on new models. "Anyone who is operating on a shoestring and who hasn't properly capitalized the business, they are probably not going to make it," said Harbour, a consultant with Oliver Wyman. "There are too many surprises that are going to come up beyond what they think their initial capital needs are." Kammerer recalled the struggles Ford engineers had as they worked on the Ford Escape Hybrid, which debuted — years late — in 2004. "One of the challenges we had was getting the brake pedal feel correct when you are using regenerative braking in combination with the hydraulic system," he said. "Getting the balance of that right with the software to not have it feel herky-jerky to the customer, there's that level of sophistication." Those kinds of issues — and inevitably there will be many for a new company with a new product built in a new plant with newly hired workers — drive up costs and cause delays. "This is a highly complicated piece of mechanical-electrical machinery where everything has to work perfectly," said Ben Patel, chief technology officer at Tenneco, a supplier of emissions, exhaust and suspension components. "It has to work perfectly for 100,000 miles. And that's where I think a lot of folks don't have the background sometimes." A properly funded startup with an irresistible product could succeed if it focused on low-volume production, said Brett Smith, assistant director of the manufacturing, engineering and technology group at the Center for Automotive Research. Building more than about 10,000 vehicles a year greatly increases tooling costs. "Getting from zero to 5,000 or 10,000 is not an unrealistic challenge for a company," Smith said. "The real challenge is when you are where our friends are at Tesla right now. As you increase that volume, the complexity and the challenge in many ways goes up exponentially." Another possible avenue is contract assembly. A startup could greatly reduce its capital costs by hiring a company such as Magna Steyr, Valmet Automotive or AM General to build the vehicle it has designed, engineered, tested and validated, Smith said. Or, a startup could copy what Lutz and partner Gilbert Villarreal did with the Destino, a highly modified version of the Fisker Karma hybrid luxury car. Lutz and Villarreal's company, VLF Automotive, strips out the Karma's hybrid powertrain and replaces it with one from a Chevrolet Corvette. The car gets a new front fascia and other cosmetic tweaks. But because the basic body structure is not modified, it doesn't have to be subjected to rigorous, expensive federal crash tests — that was already done by Fisker — and the Corvette powertrain already is EPA emissions-certified. "We took somebody's body, somebody's chassis, somebody's engineering and powertrain, but with a great deal of difficulty, we made it all work," said Lutz, who estimated that he and Villarreal have invested $11 million in the venture, based in Detroit's northern suburbs. "That was a hell of a lot easier than starting out from scratch." The business is not profitable but eventually will be as other low-volume projects are added, Lutz said. Tesla's drive to radically ramp up output of the Model 3 — the company is aiming for 500,000 vehicles by the end of next year and 1 million by 2020 — may reveal a lot about other startups' chances of becoming profitable, high-volume manufacturers. "The barriers are far fewer than they used to be," Smith said. "But I think barriers to volume manufacturing are still enormous. The Tesla thing is going to be fascinating. If it goes well, it is an incredible credit to them. But it could blow up in a catastrophe that will be fascinating to watch."